It is those things that I am good at and love doing and that come naturally to me. Perhaps because they come naturally, they might not seem like something special, but today is the day to really think about them and celebrate them. I have decided to share a couple of videos that show me in my power. They were a revelation to me when I first watched them, and helped me overcome self-consciousness and really see myself from an outside perspective. I am not a person that solely identifies through work, but since I am in the happy position to be very passionate about my work, I definitely think that Earthbuilding is one of my Superpowers! Solid Earth from PassitOn Films on Vimeo. I love organizing and project managing, without having to be the official "face" of a campaign or event. I see the big picture and have a lot of attention to detail, like working in a team or by myself, and love when things come together. The biggest event I have helped organize so far has been the International Straw Building Conference and the Climate Voter Debate. From an early age I have been an activist. I believe in the power of peaceful protest and civil disobedience. I feel that urgent action on Climate Change not only is essential to preserve our existence, but could lead to a shift in how we live together on this planet. I see the crisis as huge potential for positive change. Care for the environment and people is what motivates me in everything I do, but I also feel empowered by putting my body on the line for the things I believe are important. Read more about my WHY. Well, I might be biased, but being trained in design, I would suggest that regardless of whether you legally need to or not (ie even if your project is smaller than 10m2) you get some plans drawn up. It really helps being able to visualize something, down to all the details. If your project is small, you can do the working drawings yourself, for example using a program like Google Sketchup. If your project is more elaborate, I would advise that you get really clear on your "vision" and then write up a brief for a professional designer who has experience in the (natural) building technique of your choice. Personally, it has taken me some years to understand that it is helpful to engage professionals to help me with things that are beyond my expertise or to help me develop myself professionally. I am very much a DIY kind of person and a perfectionist on top of that, so you can imagine that I have not always done things the easy way. My motivation for doing things without (professional) help was partially aimed at saving costs, an equation that didn't always add up, and partially aimed at the sense of achievement of having it done "all by myself". My business is one of my bigger works in progress. It started out with me buying an existing mud brick production set-up and then visualizing all the services I wanted to offer. I was very inspired by it all and my ideas were very vivid, so I boldly put them out there on my very first website in 2002. I had been building in Earth for around 10 years by then, so I had the technical confidence, but would people actually engage me? I was blown away when a couple of years later, everything I said I could do I had done! The "mud stuff" was the easy part for me, learning to run a business and operating in the building industry however was a steep learning curve and something that I witnessed trip up quite a few people who were working in my field. We love being creative, but do we equally enjoy building and nurturing our businesses? Especially when it comes to running my business, I have been blown away by the difference professional support can make. Locally, I have worked with the extremely inspiring Johny O'Donnell from ShiftOn Motueka and I am also working with Natalie Sisson from the Suitcase Entrepreneur. Today we are on day three of her 10 day blog challenge and she has asked me to talk to you about my vision for the future, or how she puts it: My "Perfect Day". I would like to start by sharing that I have experienced a bit of shift inside of my self in the past two years, to a place where I feel deep gratitude for my life. Gratitude has changed everything. It makes me focus on the little things that make my day, the lessons in all the experiences, the growth that comes from challenges. However, it doesn't make me want to stop moving and challenging myself. I am content with my life, but I can identify many areas that need improvement, or maybe I should rather call it balancing. For example, the work-life-play balance. It is something most of us struggle with. In my perfect world I would not make a differentiation between the three things, but the reality is that I often work really hard making bricks, building something or organizing a workshop, and then don't spend enough quality time with my loved ones or doing the things that sustain me, like yoga and solo time in nature. "I wake up to the dawn chorus I love so much, the sky is a feint pink and blue. I open the window next to my bed and quietly lie there a little while, drinking in the fresh morning air. I have an hour to myself before the others get up. I cherish the silence and try to recall my night dreams, before getting up and drinking a glass of lemon water. I do my yoga, and this centres me and sets me up for the day, leaving me warmed up and supple. My head is not spinning from the many things on my to-do-list, as I have written them down the night before and identified my three main priorities for the day. This focuses me and makes me feel relaxed. I have breakfast with my partner Scott. He cooks yummy eggs with leek and mushrooms. We sit in the morning sun outside, in our abundant teeming garden. The bees are buzzing between the flowers and we can pick fresh cherry tomatoes and some basil to go with our home grown eggs. Today we are shooting video footage for my online course on "DIY interior Earthen Features". Scott is behind the camera, which makes me feel relaxed and able to let my passion for earth shine through, without being too self-conscious. I think of how I can inspire people to create wonderful healthy interiors using natural materials. I think how satisfying it will be to have people share photos of their work with me one day and know that I could contribute to their success by sharing my experience in a visually engaging way. We are happy doing creative work and spending time together until mid afternoon. Then I do a couple of hours of concentrated solo work in the office, fleshing out my next natural building course which will be held on a client's property. I enjoy customizing solutions for people and working with the materials on site. Late afternoon I take our dog for a walk at the beach nearby. The rocks, driftwood and waves never cease to inspire me. I think of a piece of land art I want to do and then about our upcoming three month trip to South America. I want to catch up with my earthbuilding friend from Chile and check out all the amazing things she has spoken about. I am excited about it all and feel very lucky to be able to go on this adventure." This exercise is fun, but it is hard to write up publicly. How often do we dare to share with others our ideas for a perfect day? What would be your perfect day? What does it smell like, look like, feel like, sound like? As a young adult I heard a lot of "It ain't possible". It was really getting to me. If you are ever talking to someone starting to figure out what to do with their lives, please don't use that sentence! 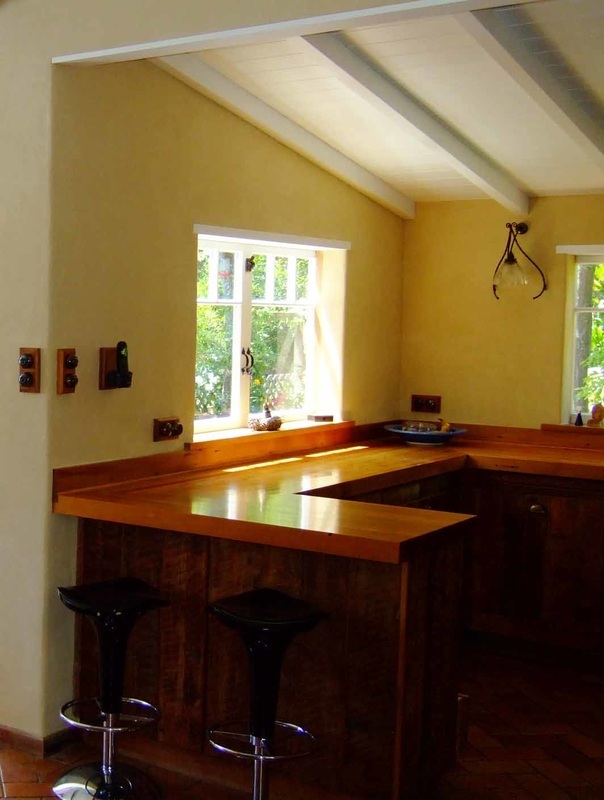 Wanting more freedom in my life has been one of the major drivers why I emigrated to New Zealand and started my earthbuilding business in 2002. The Kiwi "can-do" attitude and pioneering spirit inspires me to this day. So, distilling is down, freedom to me is about being able to live a self-determined life, to create with my own hands, and to do the things that matter. Having my own business has given me this kind of freedom but it has also been a ton of hard work, I won't deny it. This is the core of my WHY. How this fleshes out for me 14 years into business is slightly different to the reasons I used to have when I started out. My babies have grown into wonderful young adults and I no longer need to prove myself anything. Freedom to me now has much more to do with being able to grow as a person and making a positive contribution in the world. and the list could go on, but I am sure you get the (a bit cheesy) picture! Freedom for me now simply is being able to do these things I love, because I know that my light shines the brightest when I am filled with love and this is when I touch people's lives. And at this point in my life, I need to nourish the love by going out into the world more. It is nice to share my WHY with you. Getting clear on the WHY feels very motivating and gives me clarity of where I am headed. It is the Southern Cross in my firmament. Do you know your WHY? You can zoom in on it by thinking about what your contribution is to the world/the lives of others when you are at your personal best and what the impact of your contribution is at that time. If you feel like sharing, leave a message below. Thank you. Since I first picked up a lump of clay to build a house with 25 years ago, natural building has come such a long way! ​Back then, learning opportunities were far and wide and people were telling me to "get a real job", rather than "play in the mud". But I have stuck with it, because my relationship with Earth as a building material has been one of love at first sight and has grown into a deep passion over the years. I am so grateful to my teachers, among them Prof. Gernot Minke, and to all the learning opportunities I have had through all the wonderful building projects I have been part of up to now. Today I feel I have grown into a place of deep knowledge and sound experience with the material. I am thrilled to see earth building become more and more popular all across the globe, uncountable people working towards a tipping point where we can collectively re-claim our ability to build healthy living environments for ourselves, using local materials, strengthening our communities and our own sense of self-determination. ​Building for yourself - be it doing up a single room or creating your dream home - can be so empowering and give you so much freedom! I am proud of where I have taken my earthbuilding business Solid Earth Ltd over the past decade. I enjoy the physical work, the creativity, the research and development and the workshops we teach on our premises. However, I am also feeling the pull to take my work out into the world, so that I can be both, inspired by new places and other people's work, as well as of service in humanitarian and community projects. Having the freedom to leave my "brick and mortar business" (pun intended) for a few months each year and travel, learn, teach, help out... would be a dream come true for me. Solid Earth as it stands today started with the dream of a 27 year old woman who left Switzerland with her two young children aged 2 and 4 and bought a mud brick manufacture in Nelson NZ. I know of the power of focus, intention and hard work. I know that it all starts by getting clear on ideas and then going for it. This blog series is my attempt at getting really clear on the new ideas that are inside of me, waiting to be realized. 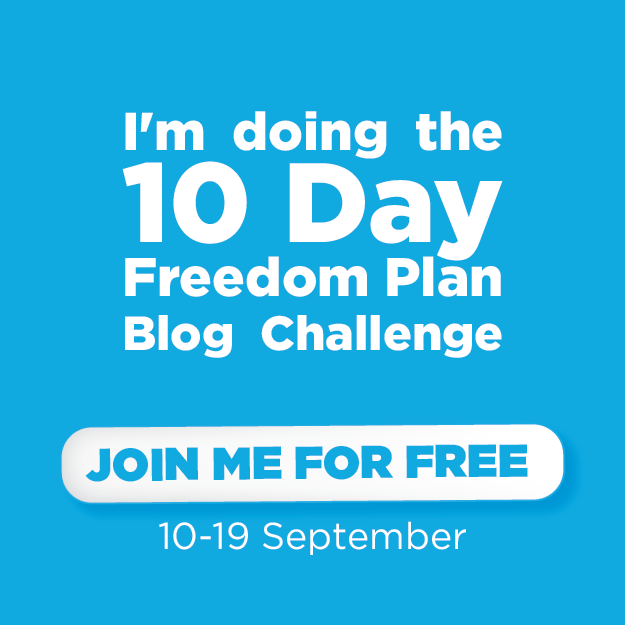 I have chosen to take part in the 10 Day Freedom Plan Blog Challenge to hold myself accountable. Today I am thinking about the things that hold me back from making my new dreams come true. What are my challenges? What are possible solutions? This is really the very first thing that came up for me. I know that I need to balance my desire for beauty and quality with common sense and just taking action. Perfectionism can be a huge force for good, but it can also paralyze me into procrastination or inaction. I found some very valuable information and resources on how to deal with perfectionism on The Happy Sensitive blog. Working with Earth in itself is a great teacher for this challenge. There is a sweet spot where your energy expenditure is balanced with the result - where things are "good enough". This is something I focus on when coaching others to work with earth, because I want the experience to be positive for them, not just a lot of hard work. I help clients streamline processes, refine their technique, make use of the best tools and save on costs. Why then is it so hard for me to apply the same principles when it comes to taking steps towards making my new dreams a reality? It will be more important to take consistent small steps in the right direction than to try and get everything lined up perfectly before launching a new endeavour. ​​Yes, I do have a very busy life. Don't we all. Personally, I juggle running my business, making a living, family life and the many things that need doing on our land (growing food, a reforestation project, chickens, building, etc.) along with hosting people interested in learning about Earthbuilding at our place. There is never a dull moment and the to-do-list is never-ending. However, as Natalie Sisson very rightly asks us to consider on the first day of our blog challenge is what we prioritize over and above the things we dream of achieving. This will no doubt be a work in progress as long as I live, but the first step in the right direction is to really get clear on what is important to me at this point in my life. As I move from being a mother of school children to supporting my children through tertiary education, the focus will no doubt shift. I want to create a diverse income stream that enables me to travel and direct my energy at projects that serve communities or the regeneration of natural ecosystems. I want to expand my horizon and get inspired, in order to instill creative richness and international best practice into my work here in New Zealand. In order to achieve this, I need to make the time and space to put systems in place that allow me to leave home for a while. The best time to plant a tree was 20 years ago, the second best time is now. 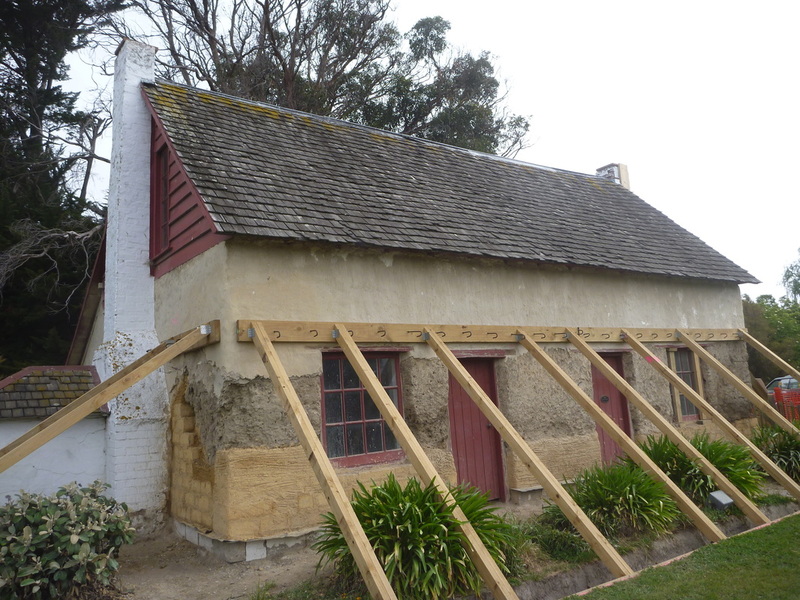 Riverlands Cob Cottage, a heritage listed historic earth building on State Highway 1 just south of Blenheim (New Zealand), has a new lease on life since undergoing it's second major restoration. 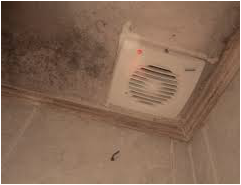 The 150 year old building has been plagued by rising damp issues and was also affected by several earthquakes. Being built from local silty soil on a slightly raised site in the middle of a coastal swamp area, without any foundations, the walls have been affected by salty dampness. 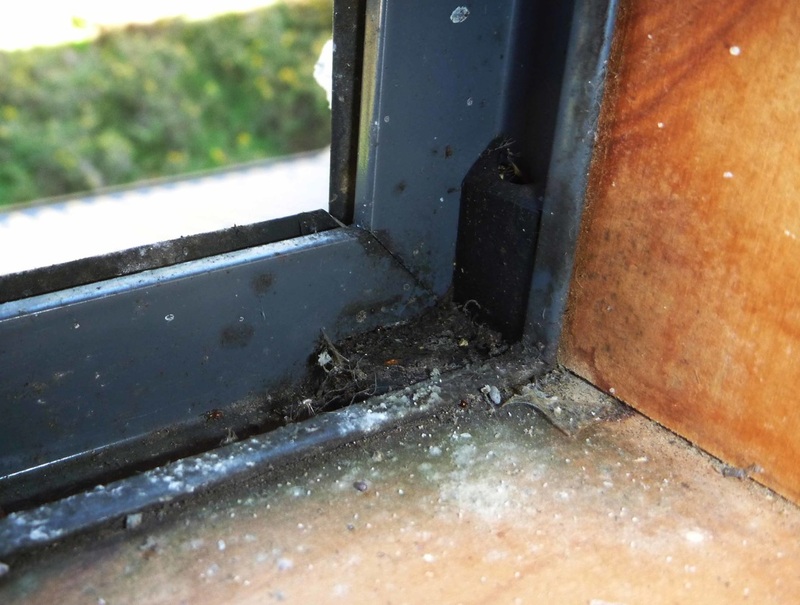 This resulted in continuous damage to the base of the earthen walls, the absorbed salts causing the surface to blow out, both on the interior and the exterior of the building. ​In 1960 the Marlborough Historical Society and Historic Places Trust started the first major restoration, using techniques that at the time were considered best practice. The deteriorating material at the base of the walls was replaced with two to three courses of concrete blocks, and the whole cottage was re-plastered with a cement stabilized earth render. Unfortunately no damp proof membrane was installed at the time and so the root cause of the damage was not mitigated, but the repairs certainly strengthened the building and were crucial for its survival to this day. However, it was apparent that the building was in dire need of love and that there was still salt damp damage affecting all surfaces. 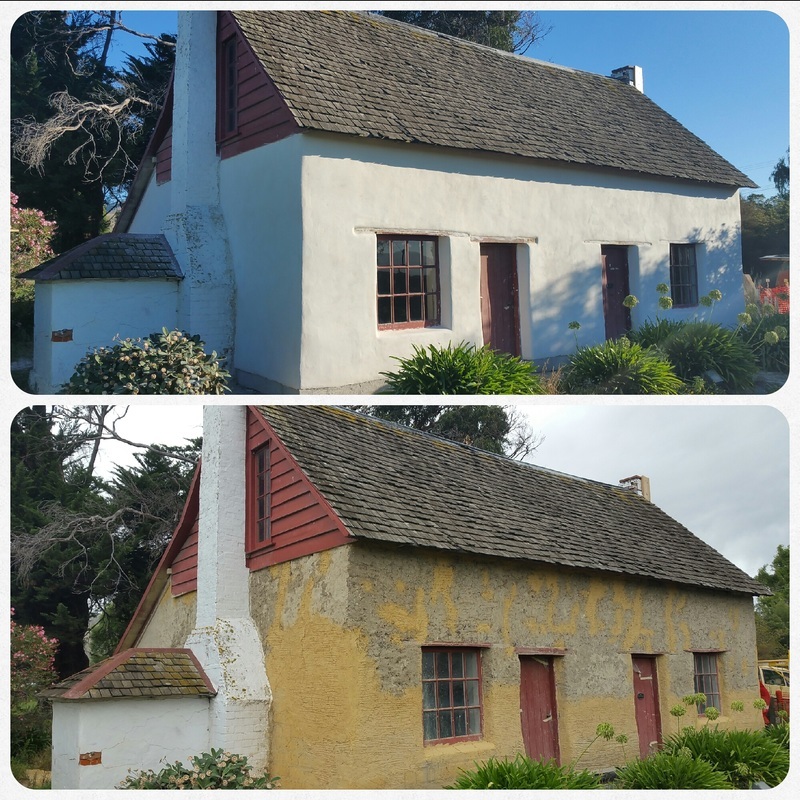 Solid Earth Ltd from Nelson were contracted to carry out structural repair work and give the cottage a total makeover, working to the guidelines of historic places trust and under the supervision of structural engineer Gary Hodder of Nelson. 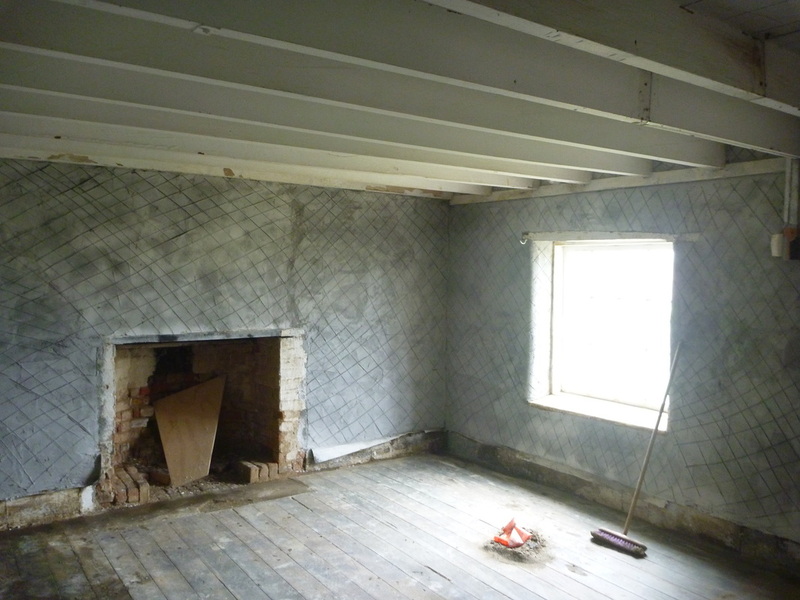 ​The main aim was to insert a damp proof course, which was no small feat given the work had to happen at the base of approximately 70 tonnes of earthen wall. 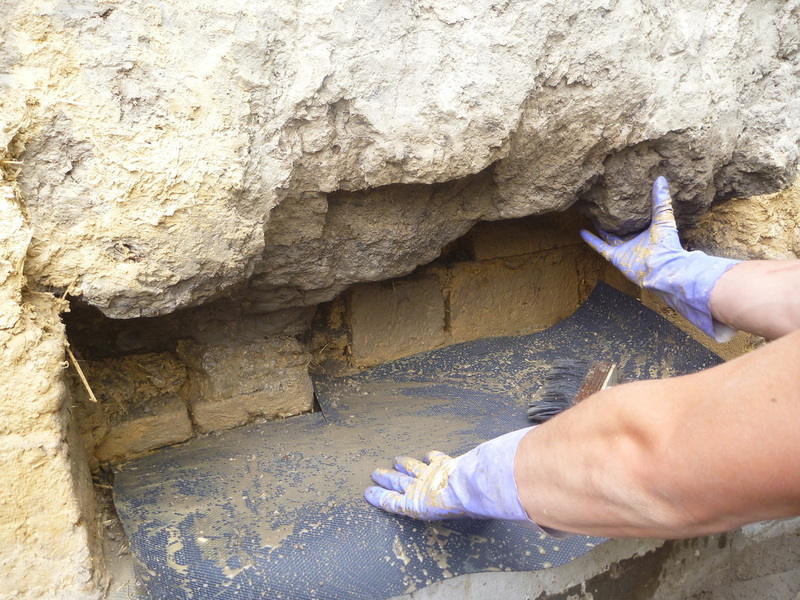 The repair team removed small sections of concrete blocks at a time, inserting DPC and rebuilding the base of the walls with earthen materials. We had to leap frog the sections, working from the outside and inside in different locations, as to defy gravity and carry out the repairs without the walls collapsing. During this work, the walls were heavily propped according to the engineer's specifications. 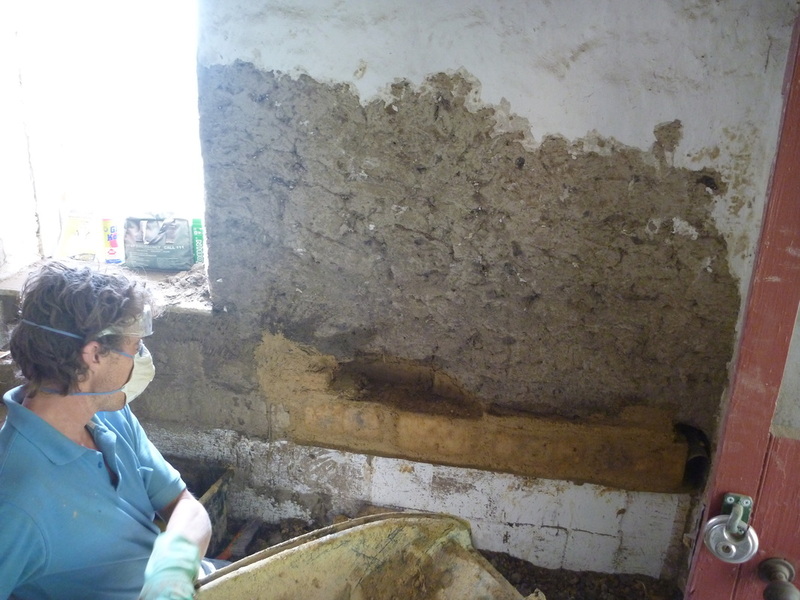 A total of around 300 concrete blocks and a whole skip of very dusty old render and loose material were removed from the building, and were replaced with around 600 mud bricks and 4cum of pre-mixed cob, that had been brought over from Nelson. The idea was to minimize the amount of shrinkage in the repairs, but the whole building still settled a few millimeters, which caused the doors to stick. While opening up the walls, it became apparent just how much salt was present, especially closer to the wall surfaces where moisture had been trapped behind the less permeable cement stabilized render. The salt turned the earthen material flakey. After a bit of research on salt damage (also called salt damp or salt attack) we decided to go for lime plasters on all surfaces, because lime can handle salt better, in actual fact it can draw it out of the walls and safely store it in its open pore structure. Before plastering could start however, the repairs had to thoroughly dry out. We gave it all summer, as it wasn't a good idea to carry out the lime plastering in the windy and hot Marlborough weather. Beginning of April we returned to a building that felt totally different! The musty smell was gone, the walls were dry and felt stable, the whole building seemed happy... We applied the 15mm lime base coats using our plaster pump, to ensure a really good bond between the earth and the lime. We decided against embedding any mesh into the plasters, apart from over the corners, where we used fiberglass reinforced mesh. The 5-6mm lime top coats were hand-troweled and finished with the sponge. ​The exterior surfaces will eventually be painted with two coats of Silicate Paint (Keim Granital), to cut down water penetration while ensuring maximum breathability. We are allowing around two months before carrying out this last step of the job, so that the lime plasters can carbonate adequately.